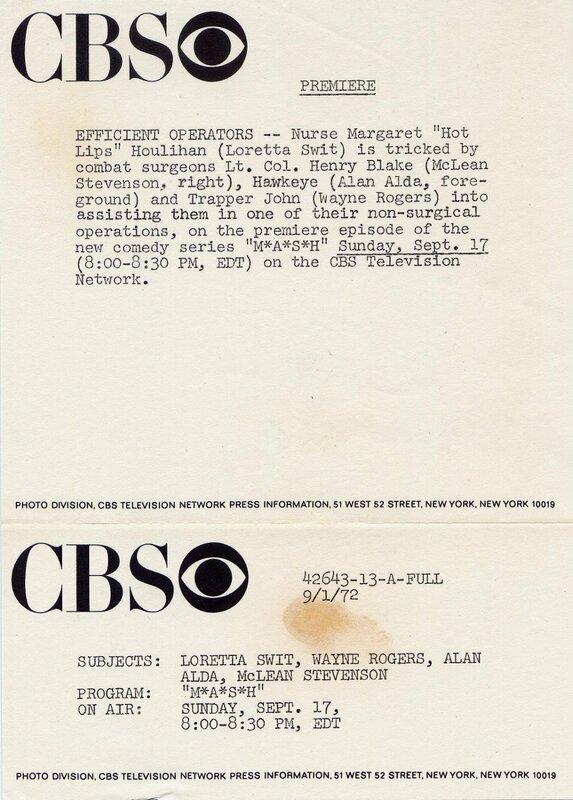 CBS originally planned to air the pilot episode of M*A*S*H on Friday, March 17th, 1972 as part of an initiative to recoup the production costs of some of its pilots. The network scheduled three 90-minute specials, each consisting of three half-hour sitcom pilots. The first of these specials would include the pilot episodes of M*A*S*H, Oh, Nurse!, and The Singles. However, by the time the special aired CBS had changed its mind and replaced the M*A*S*H pilot with the pilot episode of The Living End. 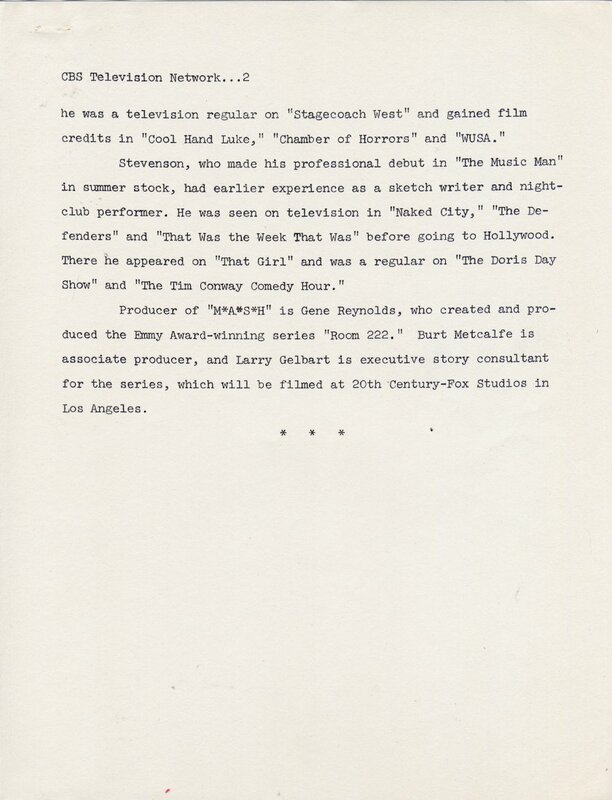 Presumably, the network opted not to air the pilot episode of M*A*S*H in March because the series was part of its 1972-1973 schedule. The network produced a half-hour special that introduced viewers to its new fall schedule. The special did not air in nationally on CBS in prime time. Instead, it was offered to individual affiliates to air as they saw fit. It may not have been broadcast in parts of the country and therefore many viewers may not have seen it. 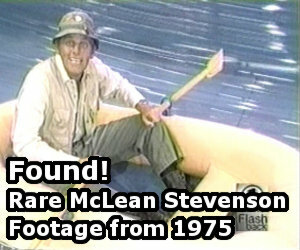 The special included a two-and-a-half minute preview for M*A*S*H consisting of various scenes from the pilot episode, much of it taken from the extended opening sequence. CBS likely only had footage from the pilot episode available, which is why the preview heavily features Lt. Dish (Karen Philipp) General Hammond (G. Wood), even though those characters had limited roles in just a few episodes. You can watch the entire preview here. 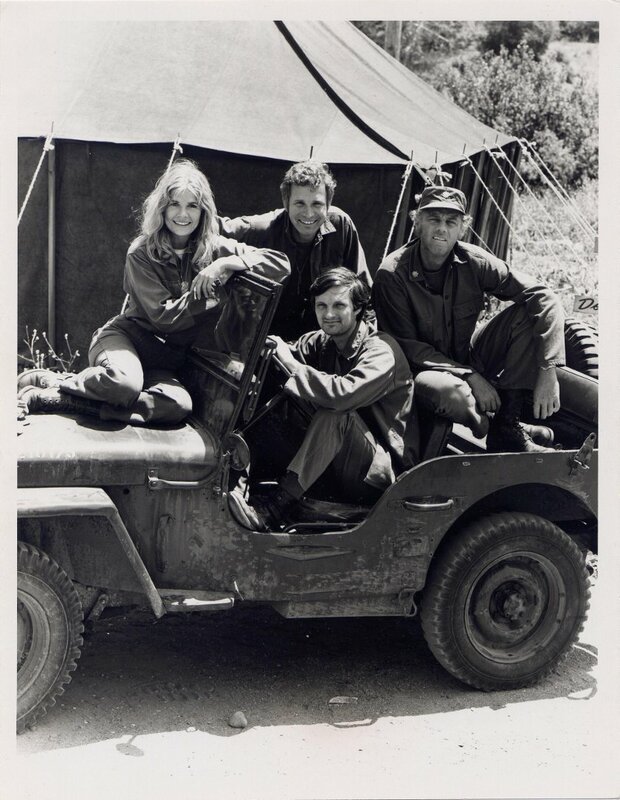 CBS ran print advertisements for its fall schedule and M*A*S*H in national and local newspapers as well as other publications, including TV Guide. Some of these ads focused on an entire night of program. Copyright © 1972 Triangle Publications, Inc.
Operation Cut-up is the code word for this zany new series about an army hospital unit. Alan Alda and Wayne Rogers are chief operators. The movie fractured you. The series will have you in stitches. Alan Alda and Wayne Rogers are chief cut-ups in the zany saga of an army hospital unit. All of the print ads I’ve come across feature Alan Alda and Wayne Rogers. I don’t believe other members of the cast were part of the CBS promotional campaign. Here are five rare CBS promotional images I believe were sent to affiliated TV stations or perhaps newspapers. I don’t actually have these in my collection. I grabbed the images from an eBay auction more than a decade ago. I’m pretty sure they’re either slides or transparencies for use in print advertisements rather than on-air TV promotional spots. Only one of these images is taken from a scene in the pilot episode. The others are purely promotional. It’s interesting that three of them feature Karen Philipp as Lt. Dish even though she only appeared in two episodes. Copyright © 1972 CBS Television Network. 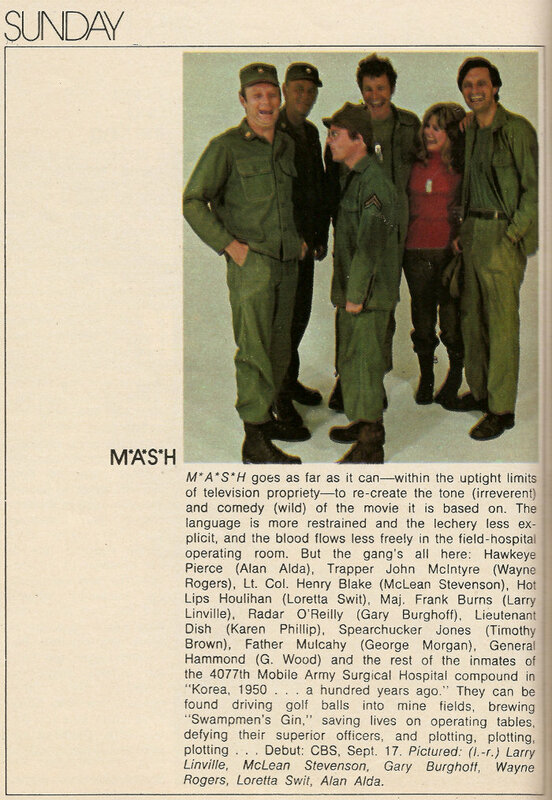 The 1972 Fall Preview issue of TV Guide included a one-page article about M*A*S*H along with a color photograph featuring Larry Linville, McLean Stevenson, Gary Burghoff, Wayne Rogers, Loretta Swit, and Alan Alda. 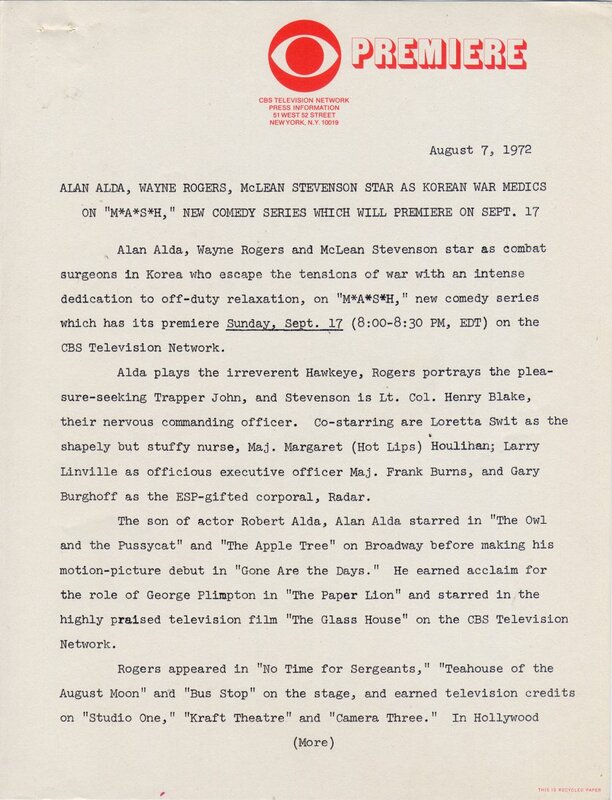 Click on the first thumbnail below to see the TV Guide preview of M*A*S*H.
I’m always looking for more examples of how CBS promoting the premiere of M*A*S*H, particularly CBS network promotional spots. If you have any promotional material or advertisements, please contact me. [Advertisement.] The Hartford Courant TV Week. 17 Sep. 1972: 9. Gent, George. “C.B.S. Will Televise Its Pilots As Three 90-Minute Specials.” New York Times 3 Mar. 1972: 79. The image of them standing on the white background, is there a way to find out the exact publish date of that issue? I might be able to get a better scan of it. The TV Guide Fall Preview for 1972-73 was the issue dated Sept. 9, 1972, if that helps. I distinctly remember seeing at least one promo that featured Alan Alda touting the show. I don’t remember every word that was said, but he did say “M-star-A-star-S-star-H” very fast while the graphics spelled out the word M*A*S*H. I’m certain that it was a :30 spot. To see it again would bring me back to being 7 years old. Yes, I just now dated myself.